Today, Glimpses v2.1, an app that creates Still Motion Videos in just a few clicks, is available for download from the Mac App Store. Glimpses lets you create such high-quality videos with just a few clicks. Import your photos (from your Photos.app library, a hard drive, Flickr or Instagram), add one or more soundtracks and you’re set – Glimpses figures out the rest. 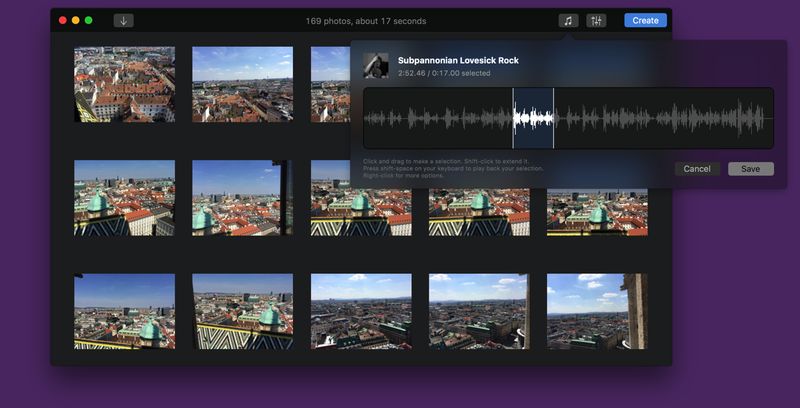 Glimpses 2.1 is available for purchase on the Mac App Store for the price of $19.99 / £14.99 / €19.99. If you’re interested in writing about Glimpses, you can download its press kit here, which contains screenshots, a short sample video and further information. I’m looking forward to hearing from you and to see what you think about Glimpses 2.1. If you like the app, please consider leaving a little review on the Mac App Store, it would help me out a lot! Should you have any feedback or questions, please be sure to get in touch, I’d love to hear from you! Thank you. An inactive checkbox is always a bit of a mystery to me. Why is it inactive? How do I get it to activate so I can select it? More often than not, it takes me a couple of tries fiddling around with other preferences to finally activate the checkbox and be able to select it. It’s exactly what I dislike. What was I thinking? As a new user who has no idea how these preferences are connected, you just don’t know how to get that checkbox active and, more importantly, how to change the setting available behind the inactive checkbox. If I launch Yoink for the first time, I have no idea what’s going on. That’s not a very good user experience. In Yoink v3.2.1, the checkbox is always accessible, eliminating extra steps to be able to select it. Obviously, not all cases are the same and sometimes, in some places, there might be a good reason to have a checkbox inactive. But here, it was clearly the wrong choice. Glimpses 2.0, I’m petrified to say, was released and then not updated again on June 7th, 2015 – that’s more than a year ago. An update has been overdue for quite some time. In version 2.1, I focused on bringing the app up-to-speed concerning the integration with macOS – mainly, the Photos.app. Version 2.1 includes a Share extension so photos can be sent from Photos.app to Glimpses right from within the app. Glimpses will also accept drag’n’dropped photos from Photos.app, something that didn’t work before, because Photos.app uses promise file drags. It also includes a QuickLook plugin, which makes identifying project files easier. 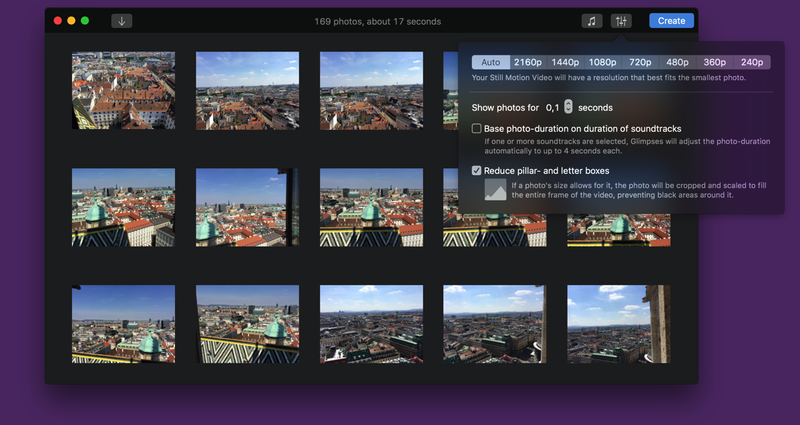 Photos can now be shuffled and edited in external editors. Of course, Glimpses also includes many improvements where performance is concerned, as well as usability improvements. I’ve also transferred the app to the base-location system along with AutoLayout. It took a bit of time, but I think moving forward, probably wanting to localize the app into further languages, this will make things much easier. Glimpses v2.1 will be released early-to-mid-August 2016 as I’m still working on overhauling its website. I’ve also been working on an update for Yoink – a typical x.x.1 bugfix release. It includes bugfixes to its Force Touch capability, alias files and a crash when going backwards in the splash screen. Yoink v.3.2.1 will be released shortly. This will be a specific update for early adopters of macOS Sierra, where ScreenFloat currently doesn’t take screenshots (I blogged about it, in case you’re interested about what’s going on). The TL;DR version: I’m using the screencapture command-line utility via NSTask, and interactive screencaptures are apparently blocked in sandboxed apps on macOS Sierra. I’m not yet sure how I will fix this issue, as I haven’t heard back from Apple yet about it (although I filed a bugreport: rdar://27610157 and contacted Apple directly). 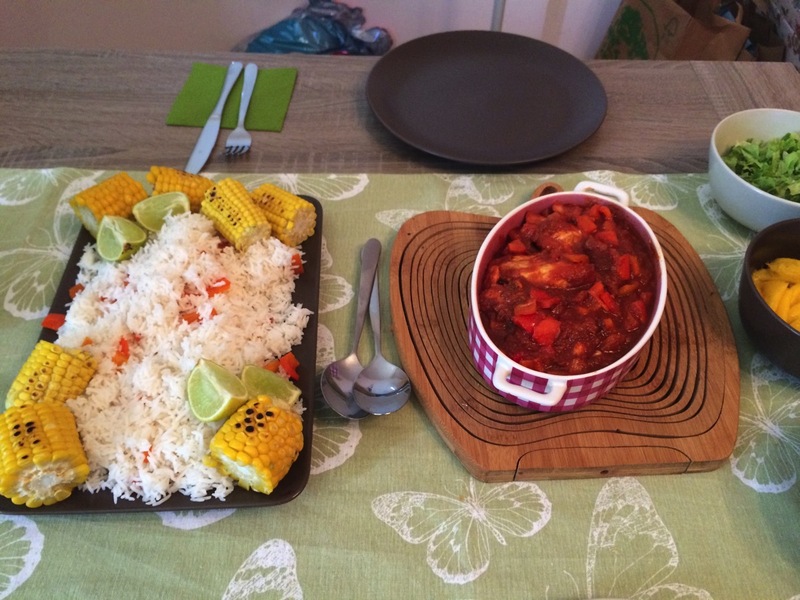 There are two ways this can go: The easy way, and the hard way. The easy way would mean me adding a temporary entitlement to ScreenFloat so until I can run my own screencapture solution, it will work unchanged for the time being. The hard way would mean me developing my own screencapture solution right away and make it in time for macOS Sierra’s official public release. I’ve started working on ‘the hard way’, just in case. I love those LEGO games, but somehow missed this one when it was released. I recently picked it up and it’s just lovely. Jack Sparrow is as quirky as ever. A great screen recorder app for Mac. I had something like this in the works myself (especially the animated GIF part), but it never worked quite correctly using Apple’s built-in tools. I spoke with Thomas, the developer of this app and a fellow Austrian, some time ago and he told me he developed his own GIF creation code for this app – something that takes a lot of effort and dedication. It’s all around a great app and can only recommend it! A Mac app that shows the system status. However, I can not for the life of me figure out what all the circles or colors mean. No idea. Resizes your windows to exactly half of your screen size. Can be practical. A cool new game by a developer friend of mine, Thomas, where you have to hit a target by snipping a circular object. Very intelligent design! You can watch an introductory video at the website. In my youth, I completely missed Pokémon. It just went by me. Sure, I’d heard of it and watched other people play here and there, but I never played it myself. Sure, I have no idea what these Pokémon are called or what they can do (something my girlfriend can recall before you can even ask her). It’s still fun when you find (and capture) new ones. I can recommend getting it, but please be safe out there. 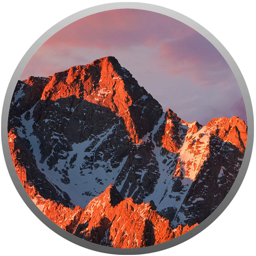 Because of the issues with ScreenFloat, I had to get the macOS Sierra beta. But to not have to install the beta over my production setup, I had to get a new external hard drive (my two backup drives are, well, for backups, and pretty full). I originally had my heart set on an external SSD, but they weren’t available. My backup plan was an internal SSD with an external enclosure, but I couldn’t get the enclosure. Then I thought I’d get an SD card for my MacBook Pro, you know, because it’s practical and small. But for the price of a 128 GB SD card, I could have bought a dozen external SSDs, or hundreds of external HDs. So I decided on an ordinary, external HD. For a beta OS drive, it works just fine and it was the cheapest solution after all. Plus, it’s a 1TB drive, so I can put other stuff on there and keep the 128 GB partition for future betas of macOS. Too bad, though, I always thought I’d install beta systems on an SD card. That’s just so cool. Just like The Conjuring 1, this is a great horror flick. The only thing that bugged me was some CGI that felt completely out of place, but it was brief, so it was bearable. An interview of Craig Federighi and Phil Schiller by John Gruber. Highly recommended. Can’t wait for this game to come out. 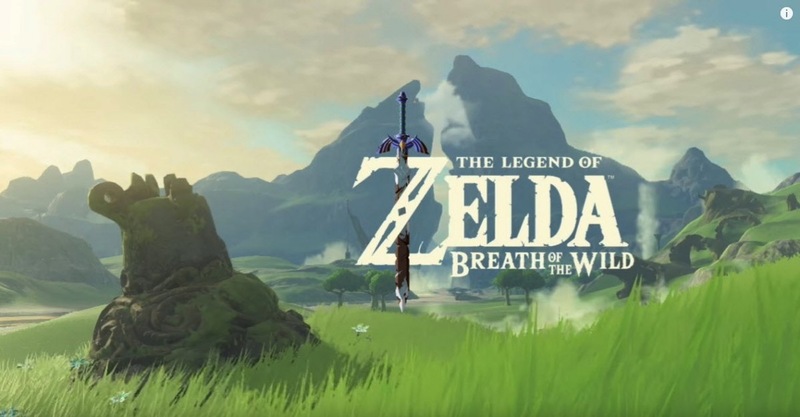 I’ve been playing all of these with my cousin, and I’m so looking forward to playing this one with him. 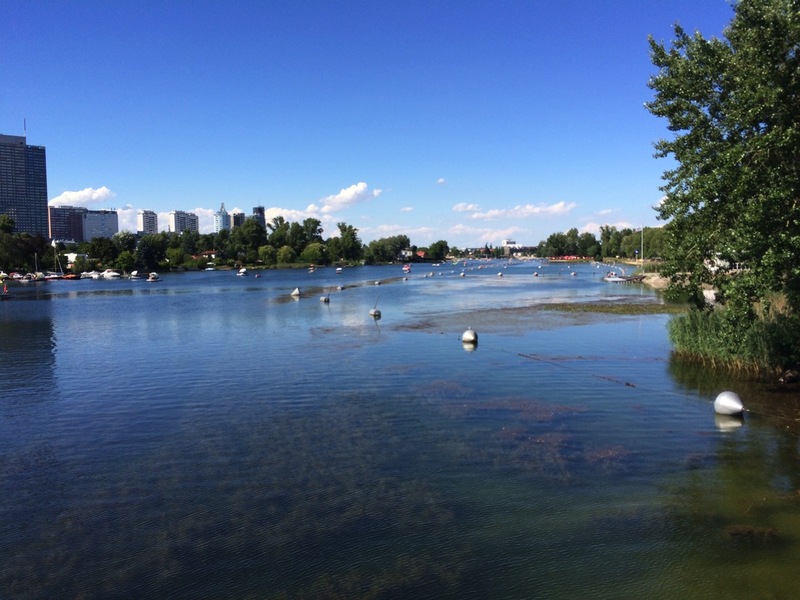 Britta and I went for a bike ride to ‘Gänsehäufel’, an open-air public bath, went for a swim and then rode back again. The most I moved in months!